I’ll be honest. I own each type of bib listed below. After two babies, I’ve found different types serve different purposes. Some are great for babies who spit up, some for super drooly teething phases, others are great for absorbing all those milk drips, and some are great for catching crumbs for early self feeders. My first son was fine with velcro; my second needed a snap or the bib was on the floor. Quality is worth the investment because they hold up wash after wash. 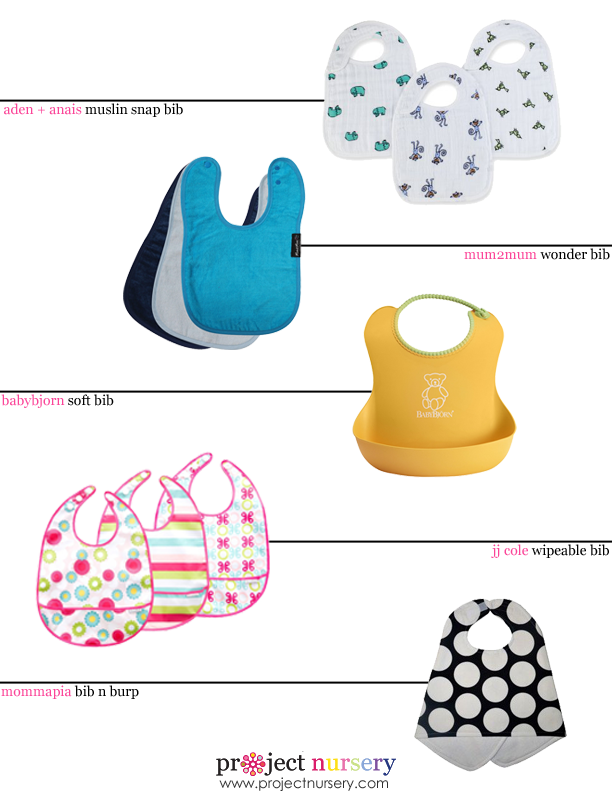 I like the idea of the BabyBjorn soft bib, but I am not sure the jiggly part is comfortable. Yeah, and it’s weightier than the bibs made of fabric. My kid just wants to grab it and take it off! Good for you. No need to get those branded bibs.